Halloween is just around the corner, and while there are plenty of R-rated scary movies to indulge in for the holiday, we love a good not-so-scary kid flick as well. 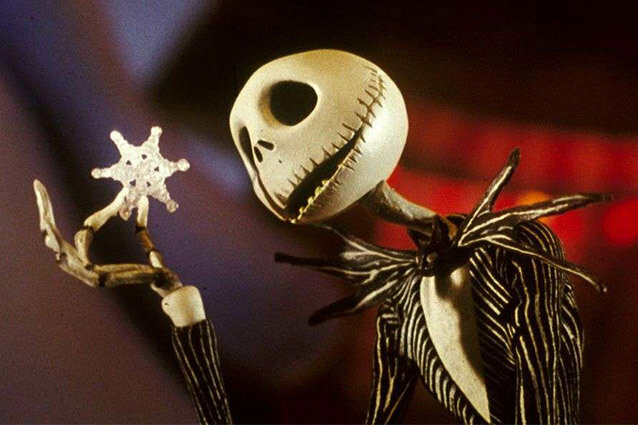 Folks like Tim Burton and stop-motion master Henry Selick have been making powerfully good movies for years, and even though alternate universes and headless pumpkin kings don’t scare us like they used to, we still love watching these films. Jack The Pumpkin King has become as much of a staple around Halloween time as witches on broomsticks, and ghosts and ghouls. He’s an icon — a rock star — and we all fell in love with him when Burton and Selick brought us the unforgettable story of holiday worlds colliding. The phrase I see dead people took on new meaning with this story of a little boy with a special, frightening gift. Little Paranorman may have been unique in that he communicated with the dead, but his story has a universal message, where outcasts and so-called geeks trump bullies and the popular crowd. And, naturally, they end up saving the world from the wrath of the dead. Another brilliant work from Henry Selick, we’re going to have to be honest and admit that this not-so-scary kid movie is actually pretty damn scary at times. Little Coraline finds a portal to another universe, discovering that Other Mothers and Other Fathers are not always so awesome, once you start seeing what’s behind their black-button eyes. Tim Burton’s Oscar-nominated film put a fun spin on a familiar story. A young boy loses his beloved dog, and decides to bring him back from the dead. Of course, Sparky the dog is much changed and the dramatics ensue. Visually, Frankenweenie is a great piece of work — a black and white film, classic Burton, plus the voices of actors like Winona Ryder and Martin Landau make this one a not-so-scary kid movie must-see for adults. Don’t act like you haven’t been waiting around all year for this one to start popping up on ABC Family. Hocus Pocus defined many-a childhood and introduced a lot of us to a Sarah Jessica Parker that is long gone, but never forgotten.